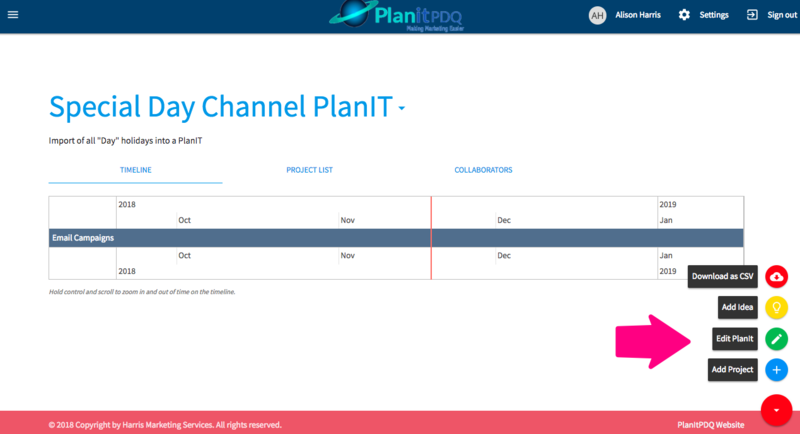 One of the benefits of PlanITPDQ is that it is a calendar-based application. You can add Projects to your PlanIT and pin them to a specific day. But what about marketing teams that use an additional shared calendar for events and activities? 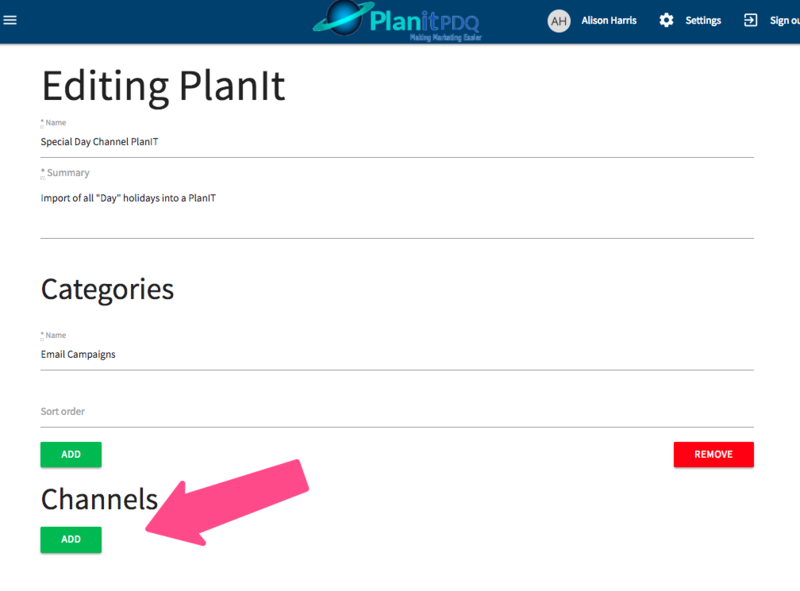 Now you can import that entire digital calendar to your PlanIT. 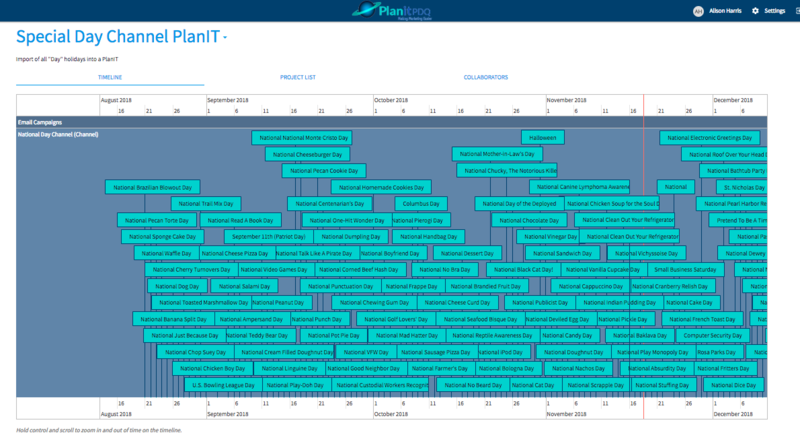 As a matter of fact, you can import any .ics file to your PlanIT. Here’s my favorite: the National Day Calendar of special “days” – you know, the holidays such as Black Cat Day, Apple Cider Day, and Mason Jar Day. These provide great inspiration for super fun blog posts and social media content – as long as you know they’re coming! Remember, you can create as many Calendar Channels as you want using any .ics file. Have fun with this great tool.